Designing, constructing and building has been taken to a whole new level in school this week, with Architecture Workshops for all classes. 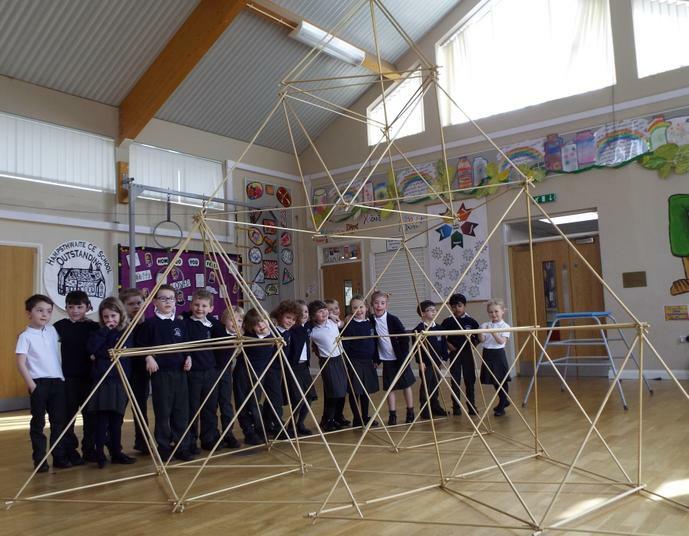 Children from Nursery to Year 6 have had a great time making large-scale models, in workshops organised by Bob Bower, workshop developer from the Cambridge-based company. Each group had a specific workshop, many of which were developed to be directly relevant to the learning they have been doing in class. 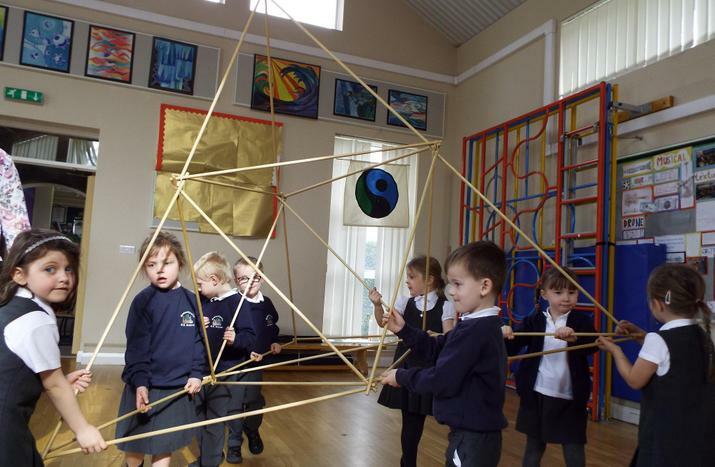 Our Nursery children started off, working in pairs to build tetrahedrons. They loved the concept of enclosing space, and were quick to go 'inside' their pyramids. Building these into a larger pyramid into which they could all fit brought great excitement! 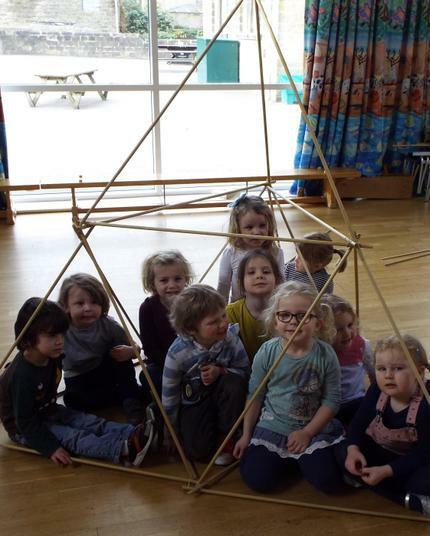 Reception and Year 1 children worked in a similar way, making increasingly large pyramids - it was interesting to see their developing approaches to design and the concept of 'community' emerging, as they wanted to bring their pyramids together to make 'towns'. 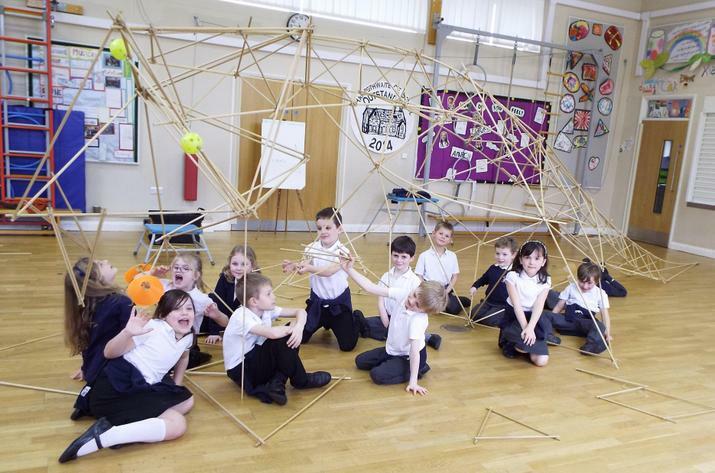 Year 2 worked on a brand new concept - making a skeletal dinosaur, and Bob developed the design ideas along with the children as they created a massive T-Rex. 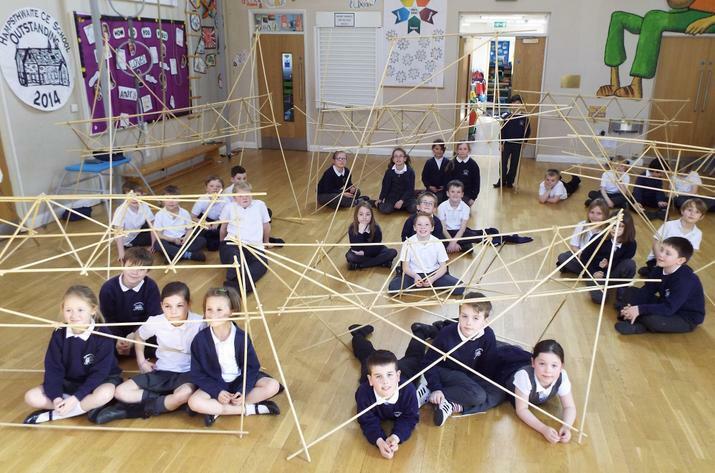 Year 3 and 4 designed and built bridges, working from a strengthened truss and developing their own ideas to raise this up and create sufficient stability for it to function as a bridge. Team work was of the essence here, and lots of varied designs resulted. 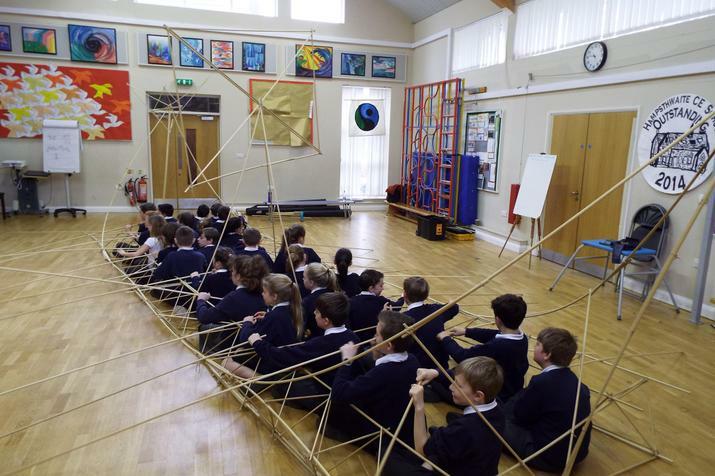 Year 5 and 6 made a life-size Viking Longship, and applied a great deal of their maths work to the construction of the right-angled, equilateral and scalene triangles needed for the project, and the calculation of the sizes needed for different parts of the ship. Fitting themselves inside gave a real idea of how cramped these Longships would have been! 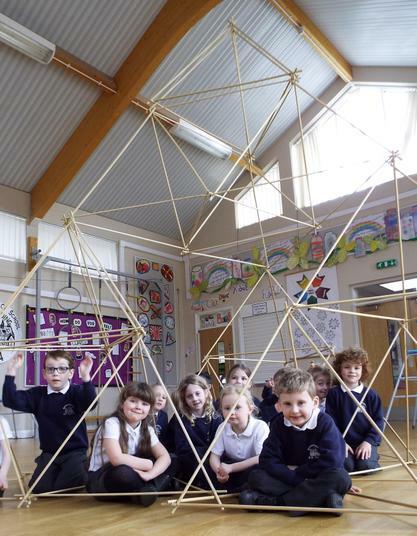 The constructions that resulted were certainly awe-inspiring, and the collaboration, social interaction, design thinking and structural understanding that the children developed was fantastic. Thank you to our PTA for introducing us to the Architecture Workshops team, and for funding the two days of workshops. From the children's enthusiasm and comments, it was certainly worth the money. One of our Year 2 children said "That was the most awesome day in school ever! I will always remember our dinosaur!" Have a look in the gallery for more photos of the workshops in action. Thank you to Bob and the team for a great two days.